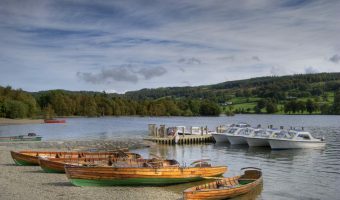 One of the best ways to experience Coniston Water is to take a cruise on the Gondola, a Victorian steam-powered yacht operated by the National Trust. The boat carries up to 86 passengers in luxuriously upholstered saloons. A variety of cruises run from the beginning of April until the end of October. The regular cruise takes 45 minutes and explores the northern half of the lake. It departs from Coniston Pier, calling at Brantwood and Monk Coniston, before returning to Coniston Pier. Passengers can break their journey at any stop to explore the area. Brantwood was John Ruskin’s home from 1872 until his death in 1900. The house and its extensive gardens are now open to the public. The Jumping Jenny café is also here and serves hot meals, soups, and sandwiches. From Monk Coniston there’s an excellent walk to Tarn Hows, one of the most picturesque sights in the Lake District. The walk there and back is 3½ miles long (or 5 miles with a circuit around Tarn Hows) and can be downloaded from the National Trust website. 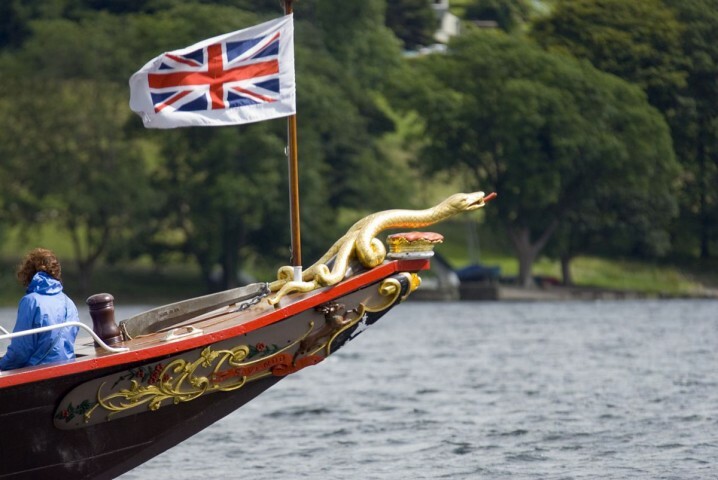 More extensive cruises, covering the whole of the Coniston and lasting 1 hour and 45 minutes, are also offered. For timetables and ticket prices visit the official National Trust website. Tickets are purchased on-board, but groups of 15 or more must book in advance. No discounts are available to National Trust members. Coniston Pier is situated at the northern end of Coniston Water, at the end of Lake Road and next to the Coniston Boating Centre. The Coniston Launch also departs from here. There is a pay-and-display car park and a café close to the pier. Map showing location of Steam Yacht Gondola. I’ve ridden on Gondola many times and have loved the silky smoothness. But the last time, going into the waves, there was a resonant vibration at the bow. I don’t think the captain at the stern could have sensed it. I hope in future it can be avoided. A wonderful trip! Call at the Jumping Jenny cafe for a relaxing cup of tea – such great views of the lake from here. I agree. The trip is very comfortable. 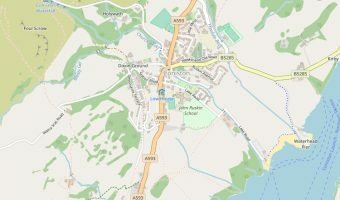 Interactive map of Coniston. Shows the precise location of hotels, tourist attractions, and other points of interest. 5-day weather forecast for Coniston. View temperature, wind speed and chance of rain. The third largest lake in the Lake District.